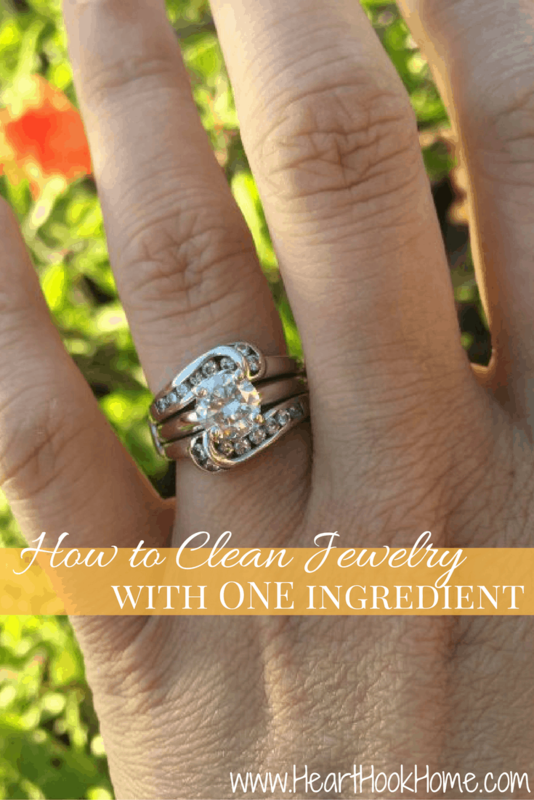 How to Clean Jewelry at Home – Using just ONE or TWO Household Items! My wedding ring gets nasty. I wear it 24/7 except for when I sleep (I literally scratched the skin right off of Paul’s face one night when I backhanded him in my sleep – oops! 😀 ) and when I shower – and when I crochet. It can get snagged in the yarn. I have no desire to spend on the money on fancy jewelry cleaner – and with this recipe I don’t even need to! 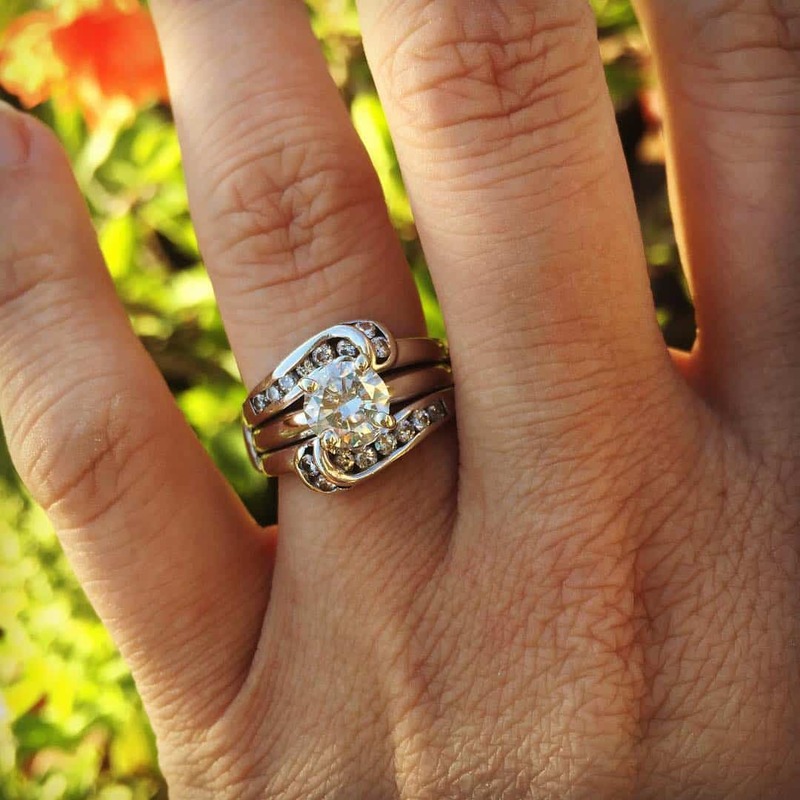 What do you need to clean your jewelry? Yep, that’s it! Well, that and hot water. 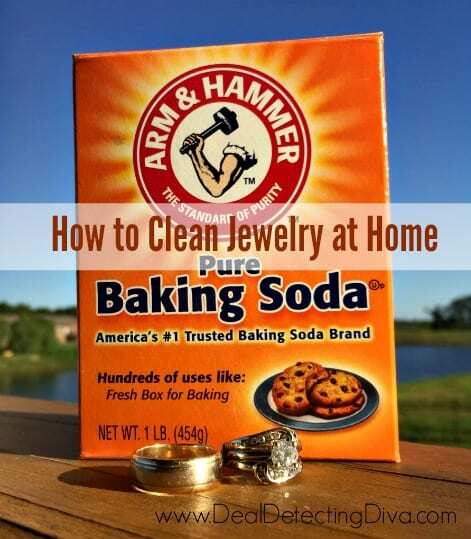 To clean your jewelry, make a paste using 1/4 cup baking soda and 2 tablespoons hot water. Use a soft bristled toothbrush to apply and gently rub, then rinse, then buff dry. Is your ring made of gold? Mine is white gold. 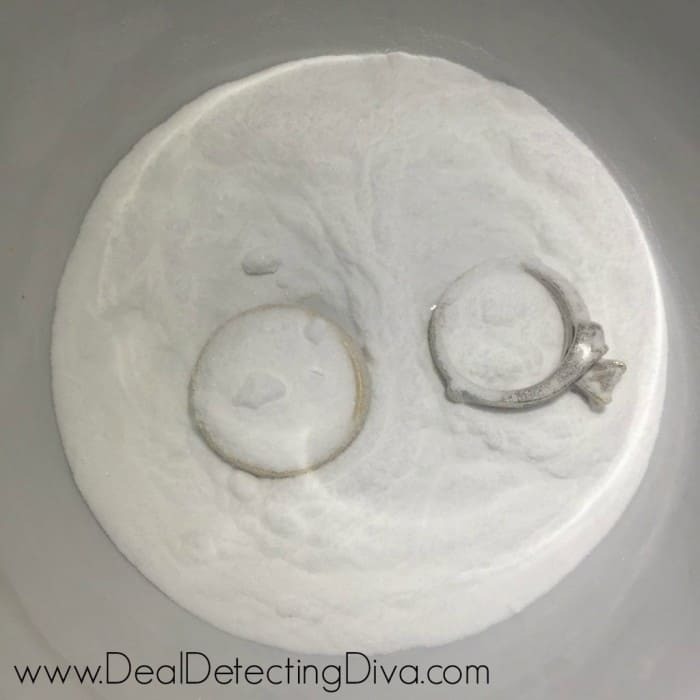 If your is gold as well, instead of using the baking soda paste, you’ll want to cover the jewelry with a light coating of baking soda then pour a bit of vinegar over it. These two together are a power duo, bubbling and foaming and cleaning where no toothbrush can go! Important: I would not use this technique to clean jewelry containing either pearls or gemstones. It could damage the finish or cause any glue to loosen. Ready for more cleaning and DIY hacks? Save Money by Making Homemade “Cream of” Soups: Cream of Chicken, Celery, and Mushroom! Homemade Swiffer Cleaner – Save Money Making Your Own Solution!